see Sarkanniemi Theme Park. The adventure continues: take in panoramic vistas at Pyynikki Park and Observation Tower, make a trip to Nasinneula Tower, contemplate the long history of Amuri Museum of Workers' Housing, and examine the collection at Lenin Museum. For ratings, maps, and other tourist information, use the Tampere holiday planning app . Rome, Italy to Tampere is an approximately 8-hour combination of flight and train. You can also fly; or drive. The time zone changes from Central European Time (CET) to Eastern European Time (EET), which is usually a 1 hour difference. Traveling from Rome in August, expect nights in Tampere to be slightly colder, around 11°C, while days are cooler, around 23°C. Finish your sightseeing early on the 31st (Sat) so you can take a train to Jyvaskyla. Jyväskylä is a city and municipality in Finland and in the western part of the Finnish Lakeland. 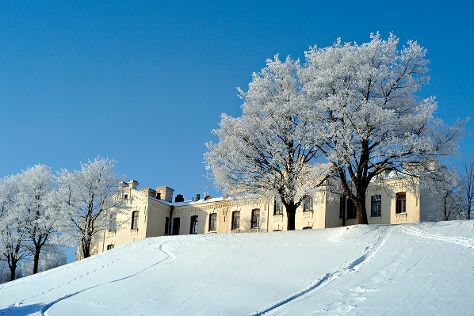 Kick off your visit on the 1st (Sun): test your problem-solving skills at popular escape rooms, take in the pleasant sights at Tourujoen luontopolku, learn more about the world around you at Natural History Museum of Central Finland, then examine the collection at Finnish Air Force Museum, and finally examine the collection at The Alvar Aalto Museum. Find out how to plan Jyvaskyla trip without stress by asking Inspirock to help create an itinerary. Getting from Tampere to Jyvaskyla by train takes about 2 hours. Other options: drive. In August, daily temperatures in Jyvaskyla can reach 22°C, while at night they dip to 10°C. Cap off your sightseeing on the 1st (Sun) early enough to catch the train to Kuopio. Kuopio is a city and a municipality located in the region of Northern Savonia, Finland. Start off your visit on the 2nd (Mon): test your problem-solving skills at popular escape rooms, then explore the activities along Valkeisenlampi, then ponder the world of politics at Kuopio Market City Hall, and finally take in panoramic vistas at Puijo Tower. On the 3rd (Tue), you'll have a packed day of sightseeing: see the interesting displays at Kulttuurihistoriallinen Museo, then see the interesting displays at Kuopion Korttelimuseo, then pause for some serene contemplation at St. Nikolaos Cathedral, and finally enjoy some diversion at Vainolanniemi. 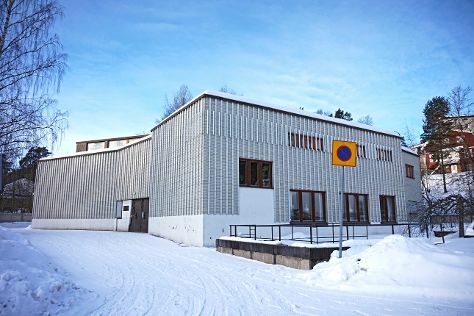 Make your Kuopio itinerary with Inspirock to find out what to see and where to go. Getting from Jyvaskyla to Kuopio by train takes about 2 hours. Other options: take a bus; or drive. In September, daily temperatures in Kuopio can reach 15°C, while at night they dip to 9°C. Cap off your sightseeing on the 3rd (Tue) early enough to go by car to Savonlinna. Start off your visit on the 4th (Wed): appreciate the history behind Olavinlinnan Musta Passi, see the interesting displays at Savonlinna Provincial Museum, step into the grandiose world of Olavinlinna Castle, pause for some serene contemplation at Pikkukirkko, then look for gifts at Taito Shop Savonlinna, and finally step into the grandiose world of Savonlinna Cathedral. 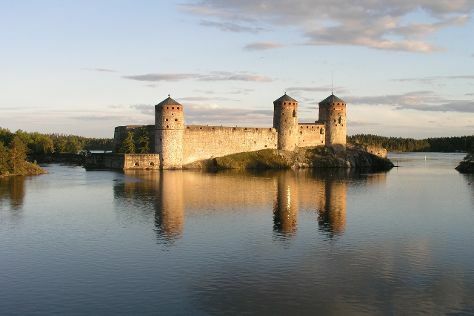 To find traveler tips and more tourist information, go to the Savonlinna trip itinerary maker tool . Getting from Kuopio to Savonlinna by car takes about 2.5 hours. Other options: do a combination of train and bus; or take a bus. Expect a daytime high around 16°C in September, and nighttime lows around 7°C. Wrap up your sightseeing on the 4th (Wed) early enough to drive to Lappeenranta. Kick off your visit on the 5th (Thu): step into the grandiose world of Sandcastle Lappeenranta, see the interesting displays at Lappeenranta Fortress, then take an in-depth tour of Wolkoff House Museum, and finally explore the activities along Saimaa Canal. For reviews, traveler tips, more things to do, and tourist information, read our Lappeenranta trip website . You can drive from Savonlinna to Lappeenranta in 2.5 hours. Alternatively, you can take a train; or take a bus. September in Lappeenranta sees daily highs of 17°C and lows of 9°C at night. Finish your sightseeing early on the 5th (Thu) so you can take a train to Kouvola. Kouvola is a town and municipality in southeastern Finland. 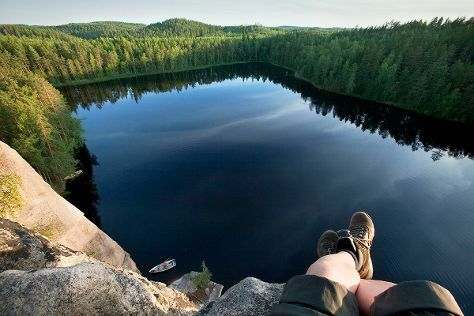 On the 6th (Fri), explore the striking landscape of Repovesi National Park. Get ready for a full day of sightseeing on the next day: delve into the lush surroundings at Niivermaki Nature Conservation Area and then get engrossed in the history at World Heritage Site - Verla Groundwood and Board Mill. To find photos, other places to visit, more things to do, and tourist information, you can read our Kouvola vacation maker tool . You can take a train from Lappeenranta to Kouvola in an hour. Alternatively, you can drive; or take a bus. In September, plan for daily highs up to 17°C, and evening lows to 9°C. Wrap up your sightseeing on the 7th (Sat) early enough to travel back home.